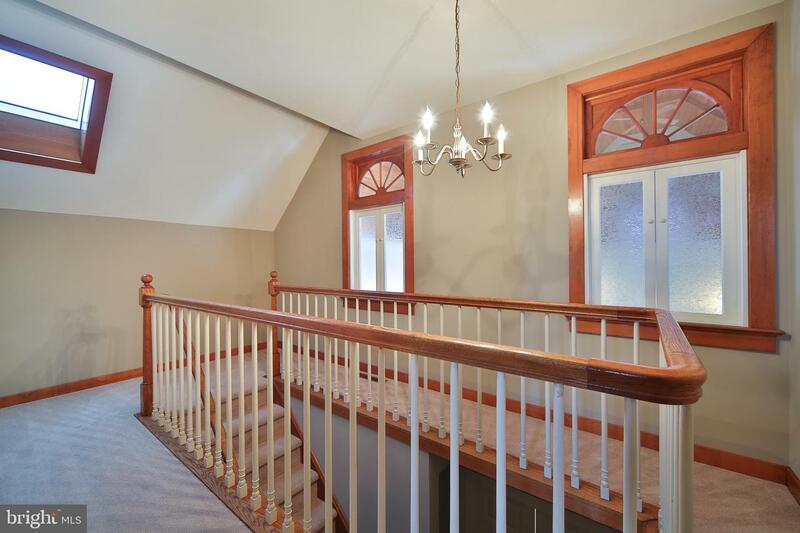 Are you looking for that unique Bucks County home tucked away in a private setting, yet still close to all that the Doylestown/New Hope area has to offer? 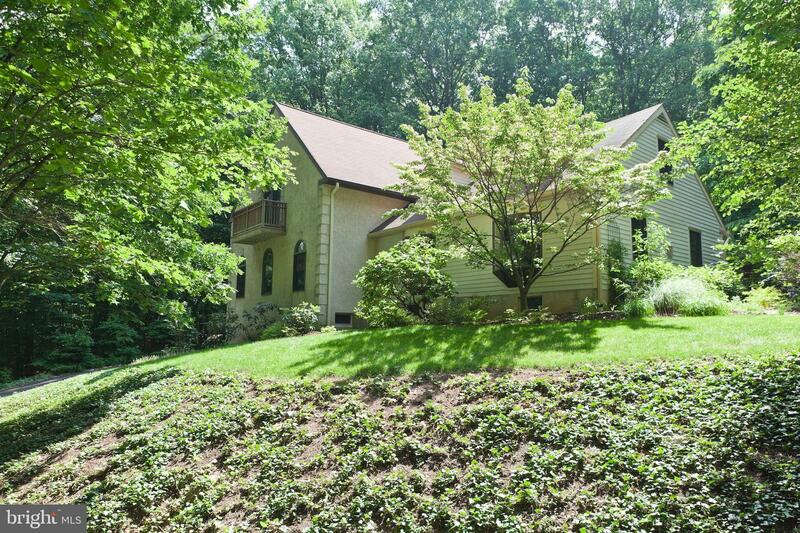 If so, this distinctive home is the one for you. 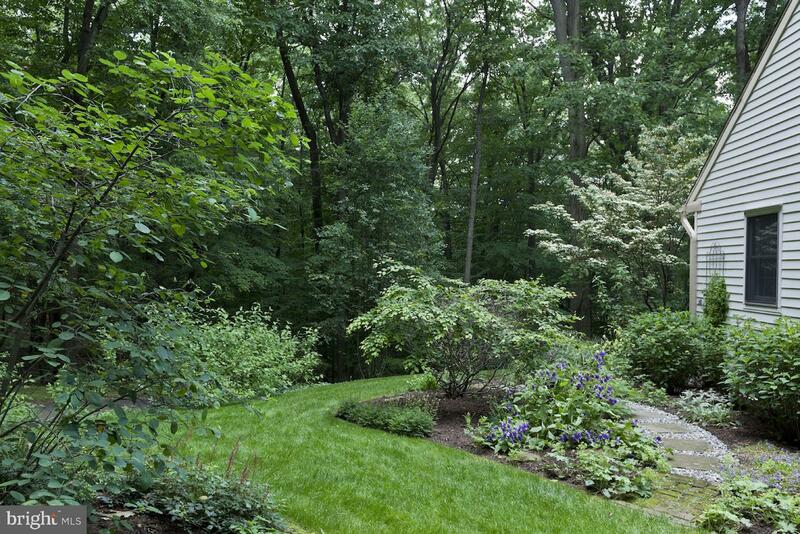 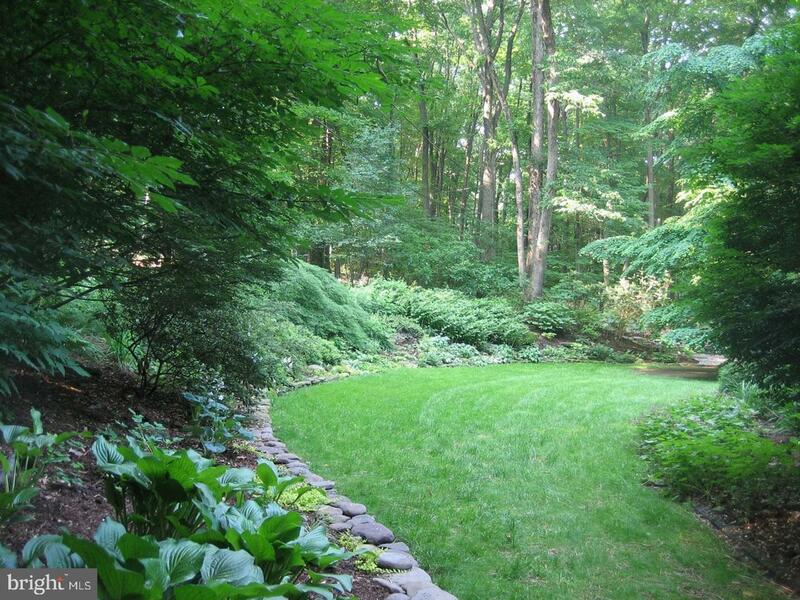 Follow a quiet country lane to this serene retreat on more than 2 acres of wooded hillside, offering tranquility and natural beauty just 3 miles from charming Doylestown Boro, with its restaurants and shopping. 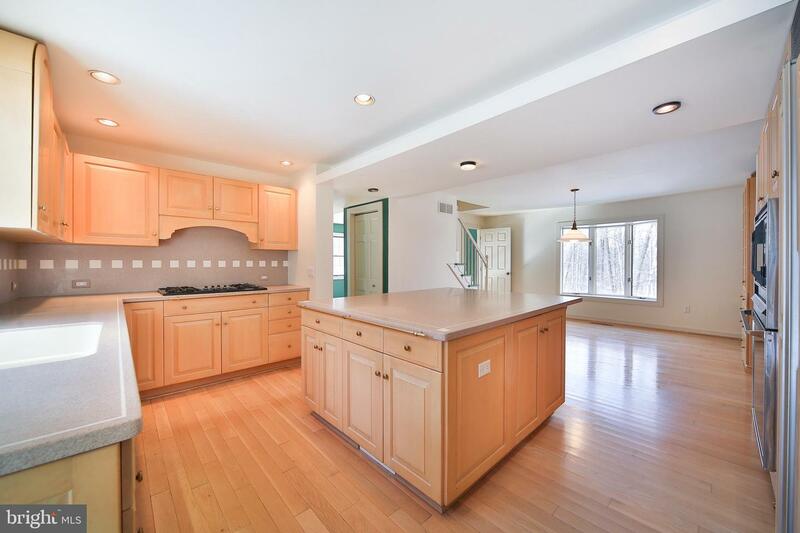 Professionally landscaped grounds and lush forest surround you as you approach this home across a brick terrace and enter the stunning two-story great room through double French doors. 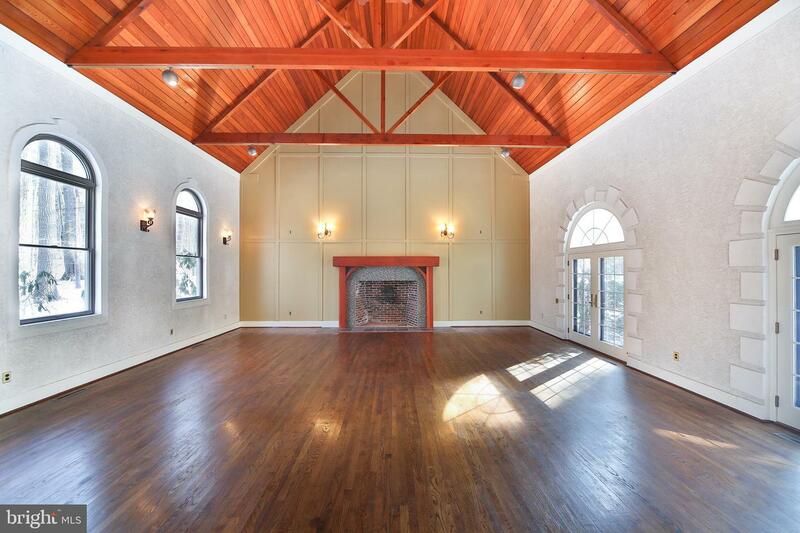 Filled with natural light from arched windows, the room features a soaring ceiling with exposed trusses, a stately fireplace with mosaic tile surround, and a walk-in wet bar. 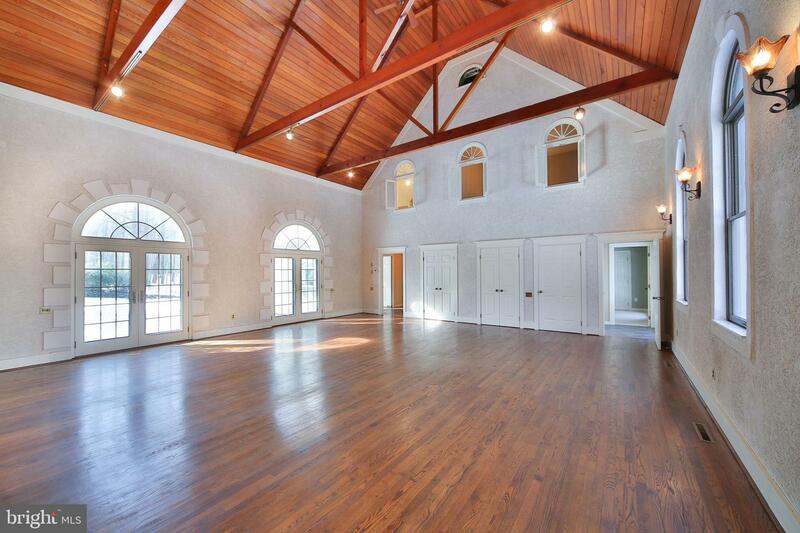 This is a perfect space for relaxing and entertaining. 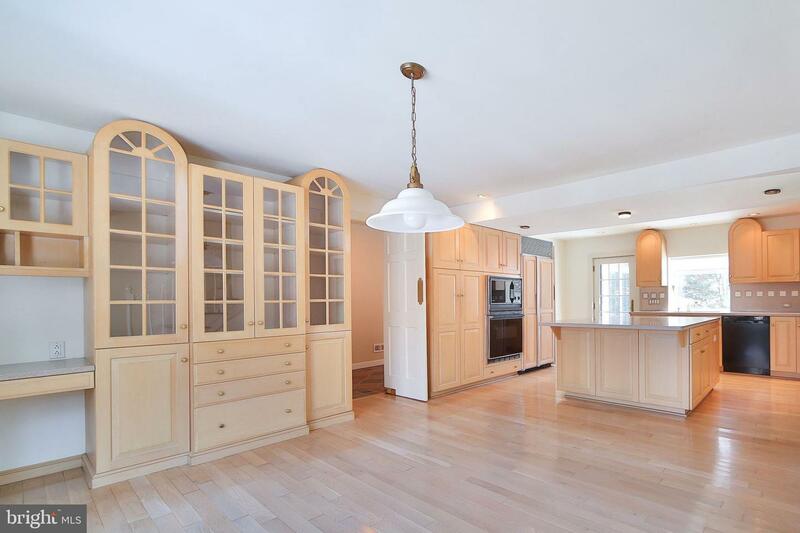 A tiled hallway leads to the spacious kitchen outfitted with solid maple cabinetry, a gas cook-top, built-in appliances, and a glass-door display hutch for showcasing your favorite treasures. 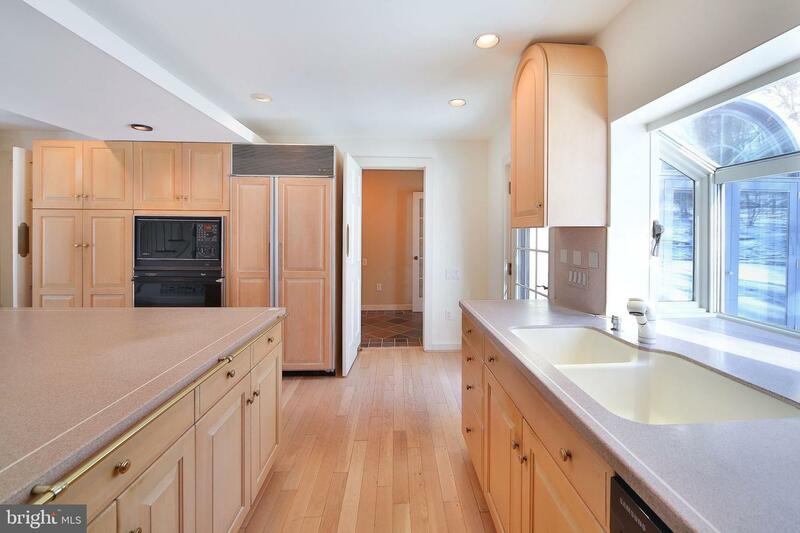 Whether you're preparing a meal, gathering around the generously sized island with family and friends, or lingering over morning coffee, you can enjoy uninterrupted views of the outdoors through the garden window at the sink and bay window in the breakfast room. 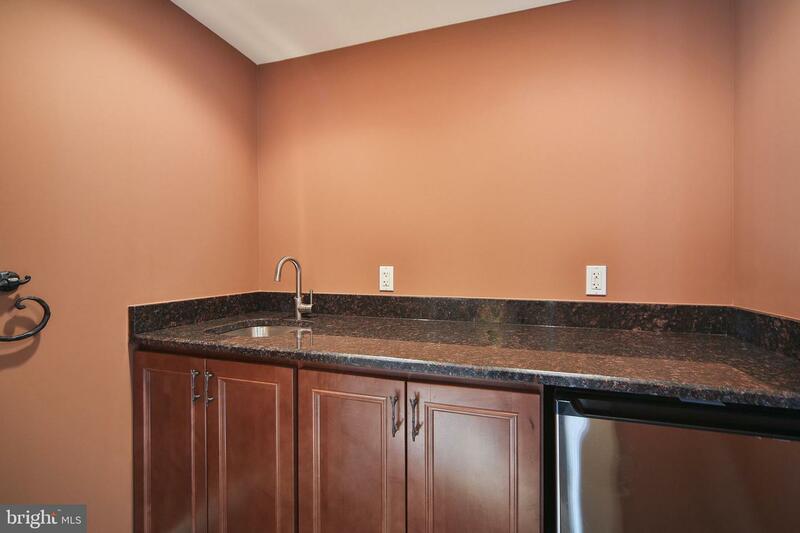 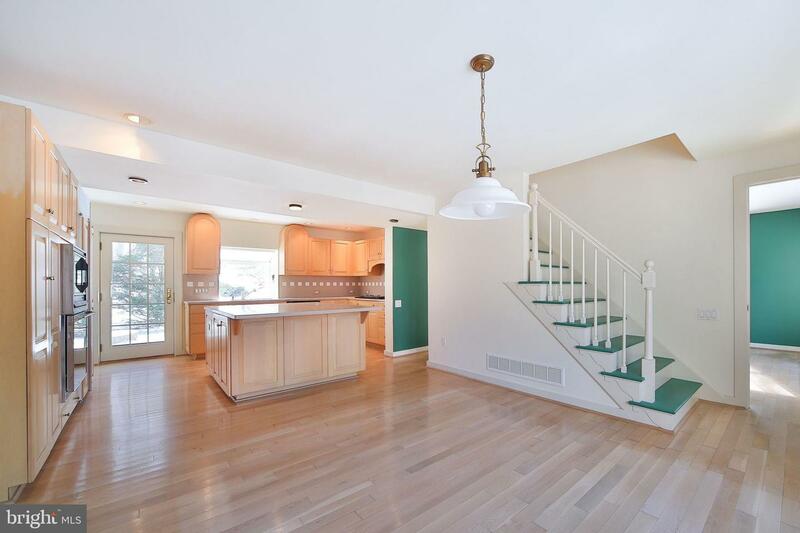 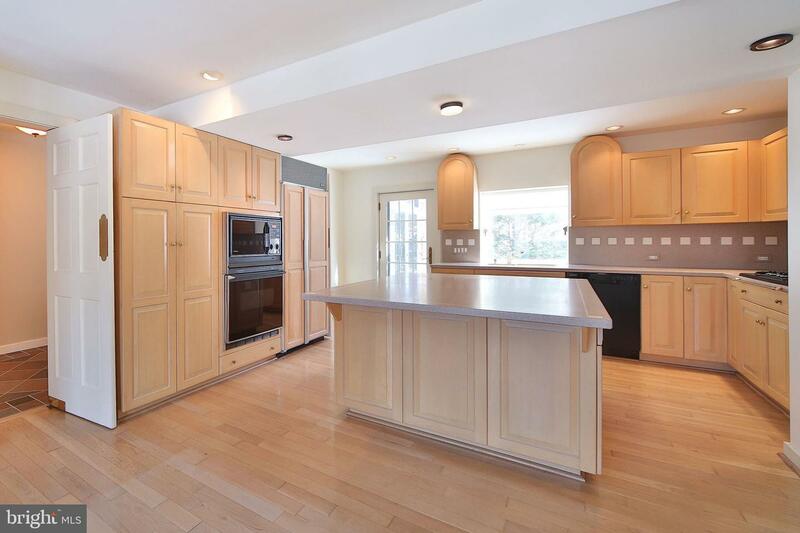 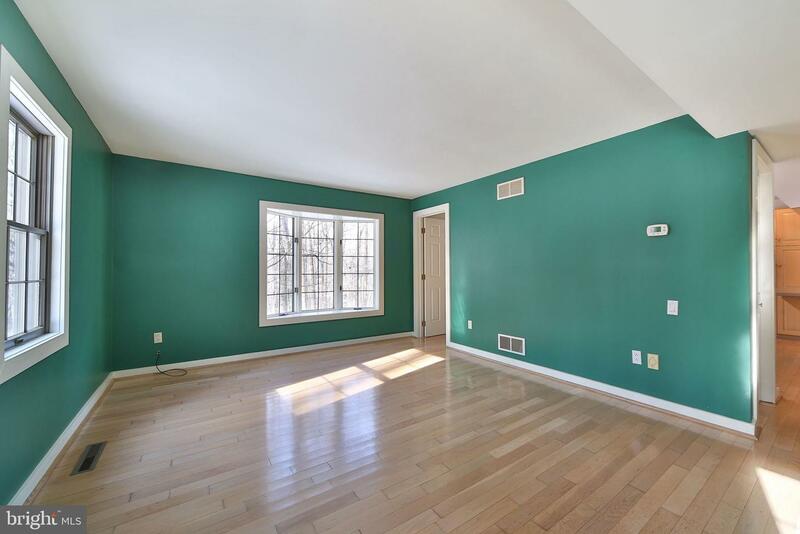 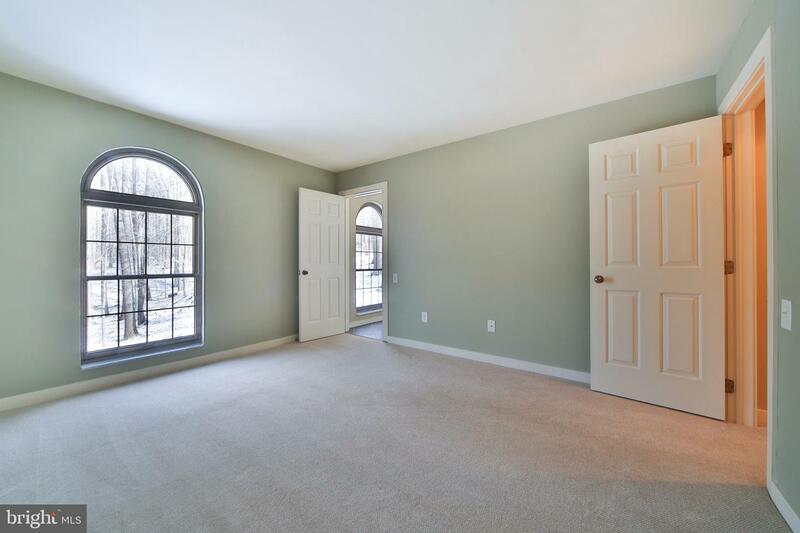 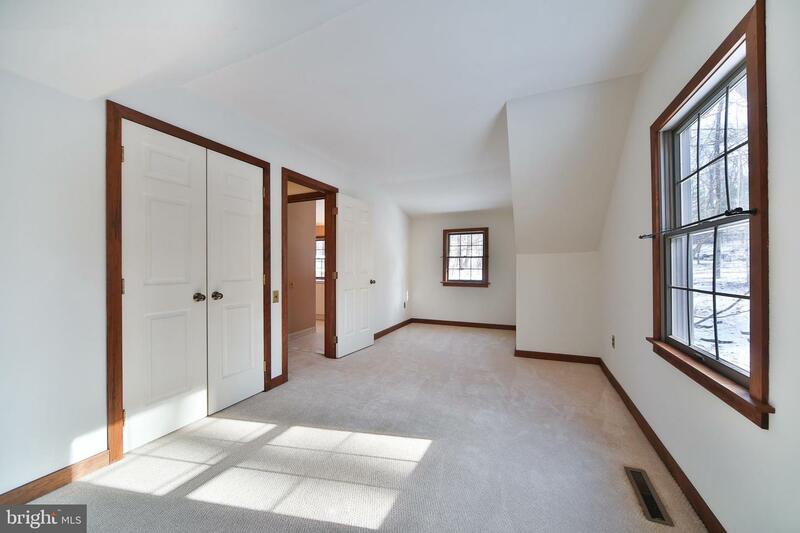 A cozy family room is located just off the kitchen, with convenient access to the laundry and mudroom entrance. 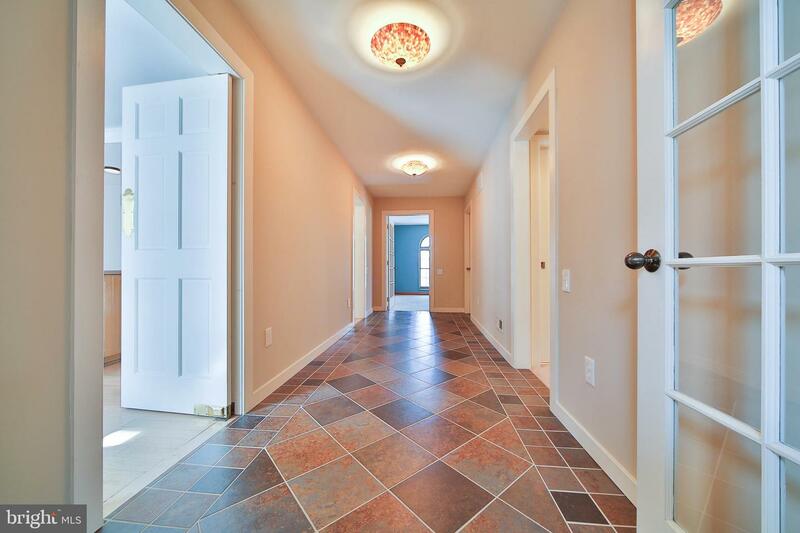 A private hallway leads to a comfortable bedroom and full tiled bath that could serve as an in-law suite or for a nanny. 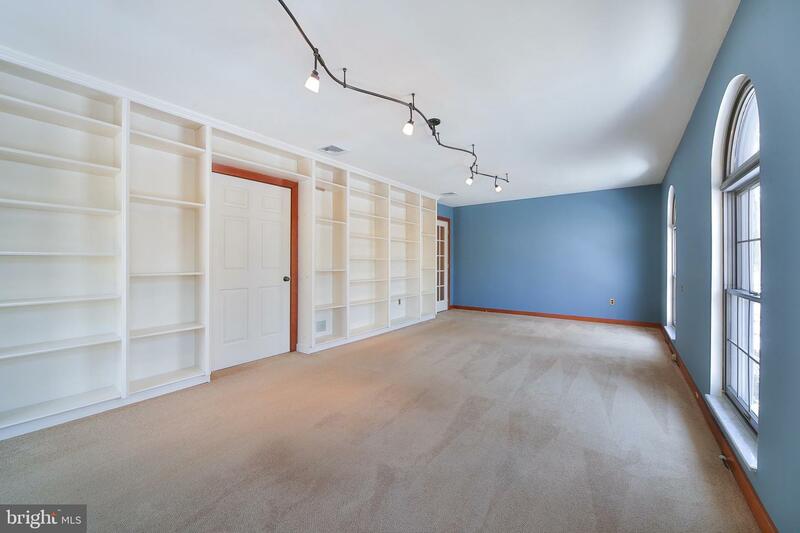 Also on this level is a large bookcase-lined library overlooking the front yard and woodland beyond, an ideal home office or study where you can watch songbirds and other wildlife while you work. 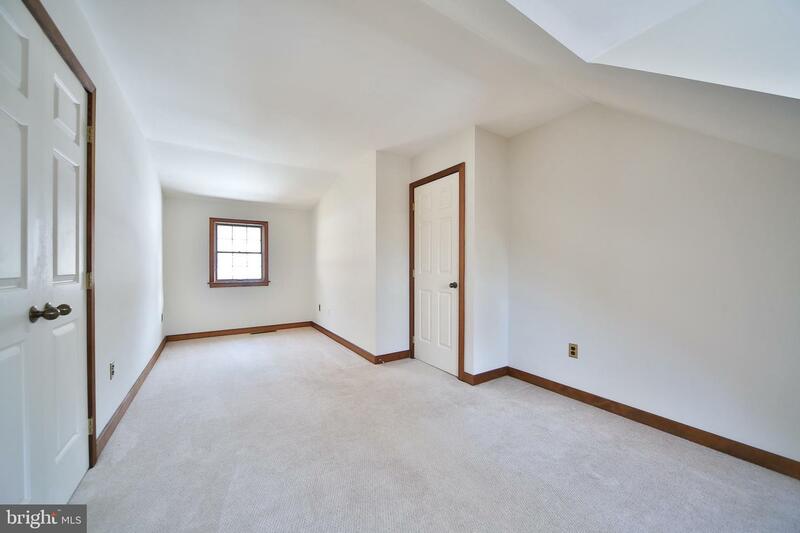 On the second floor you'll find an expansive master bedroom suite with two walk-in closets and a lofty beamed ceiling that lets you feel as if you're sleeping under the stars. 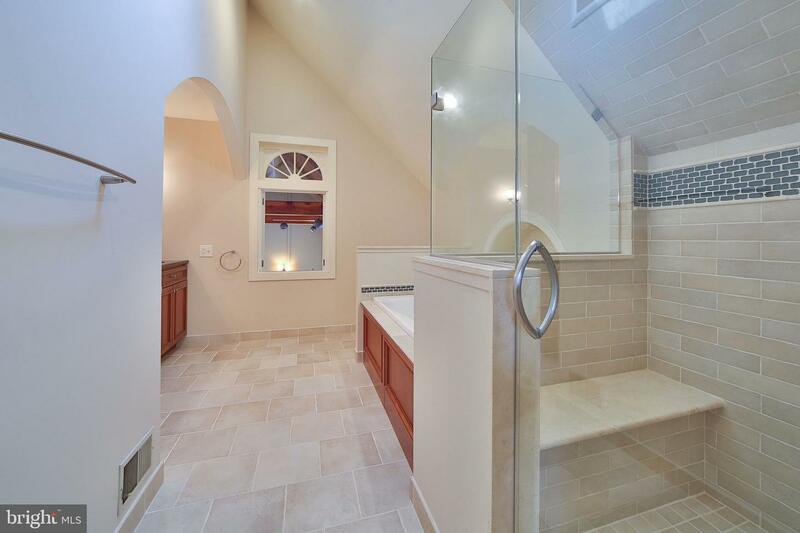 The spa-like master bath is complete with a glass-enclosed shower, soaking tub, and double sinks in a granite countertop. 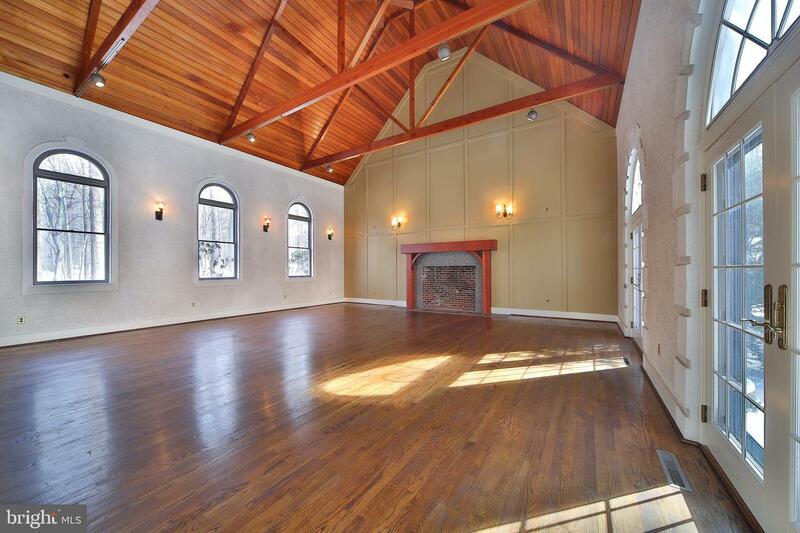 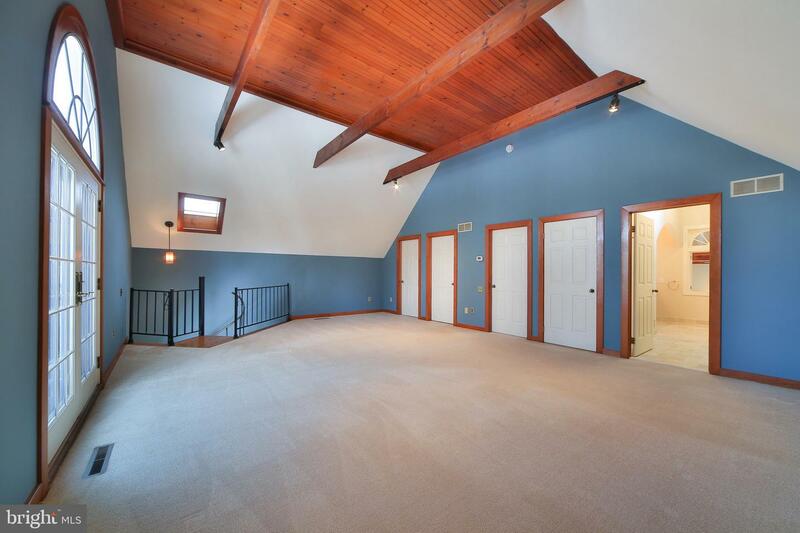 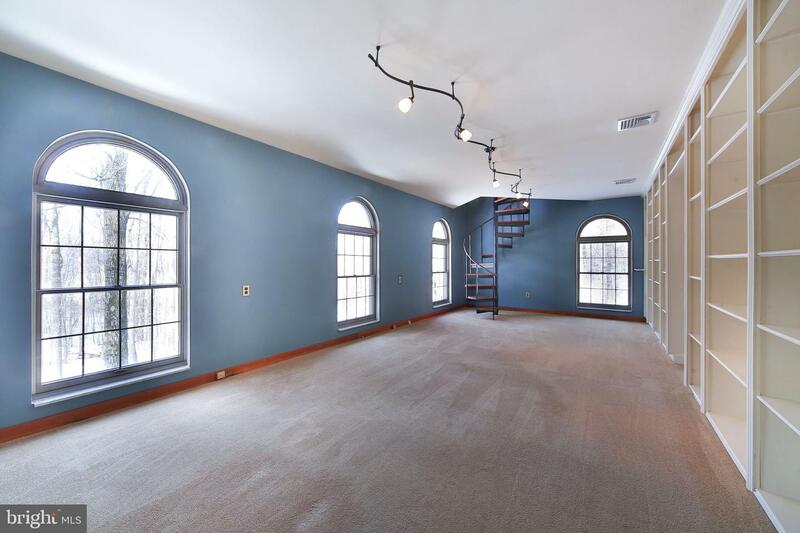 An added bonus is the walk-up floored attic with a skylight, which would make a great hobby space or workout room. 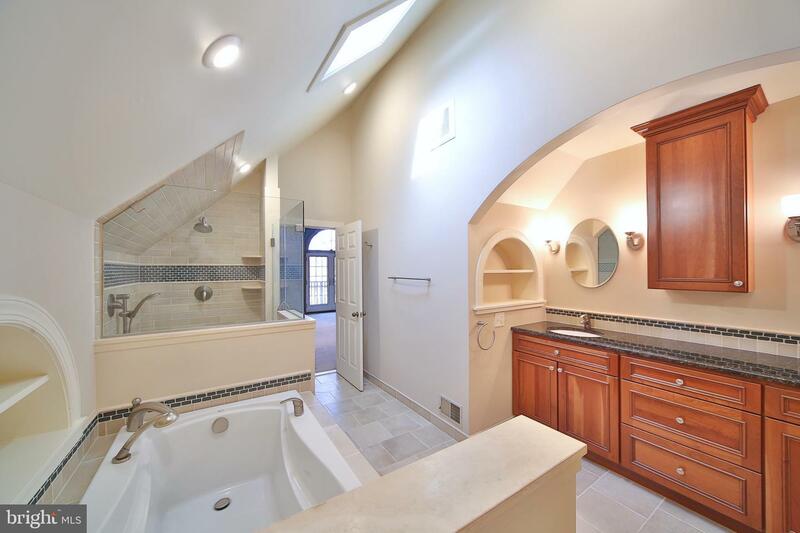 On the opposite side of the house are two more bedrooms that share a full bath, providing a sanctuary of their own. 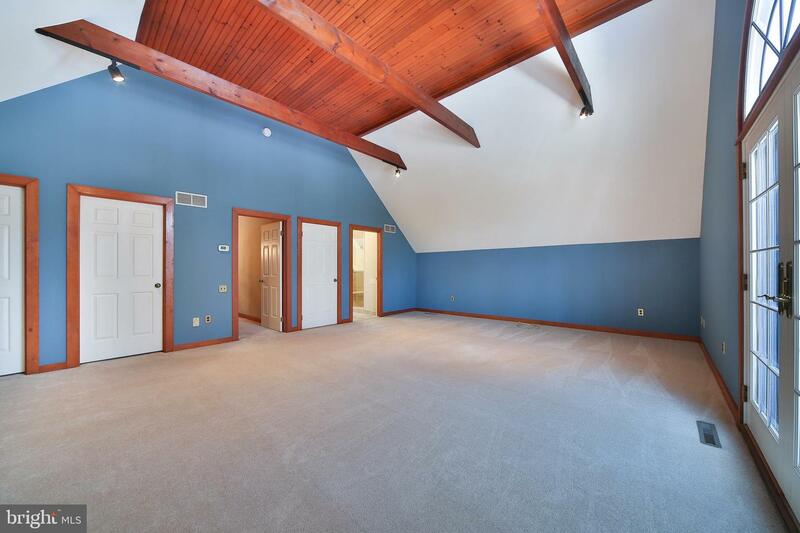 An oversized two-car garage with walk-out access is flanked by two large utility areas for storage, a workshop, and more. 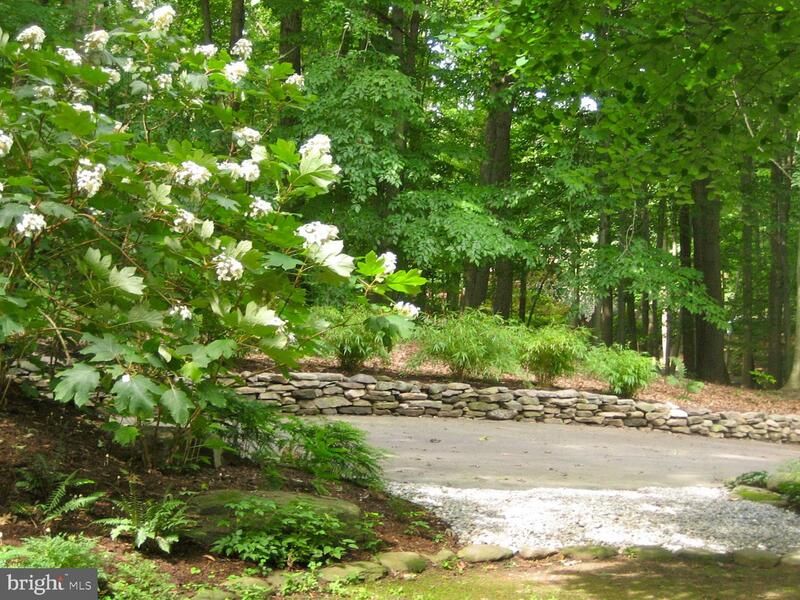 Mechanicals include 3-zone HVAC, fiber optic and cable services, and a central vacuum system. 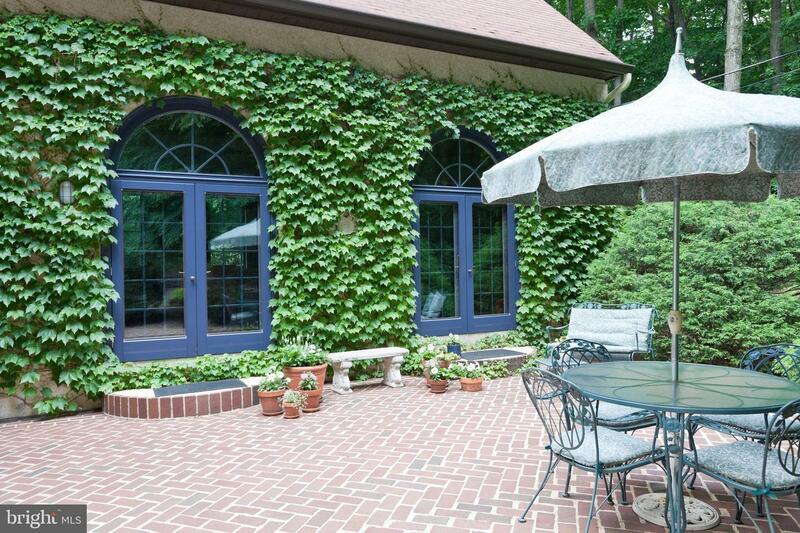 This special Bucks County home offers the discerning buyer so much, with a secluded setting that is hard to find in such a desirable location, along with the award-winning Central Bucks schools. 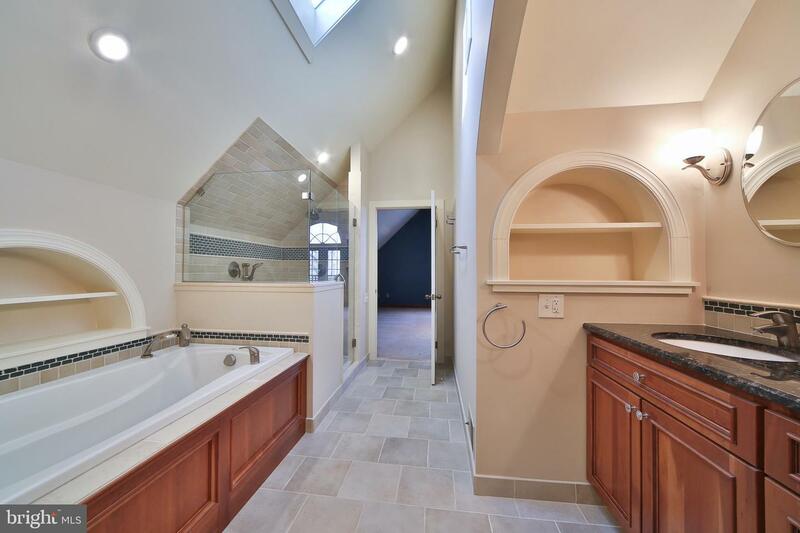 Don't miss out on this rare opportunity!